Amazon.com, Inc.(NASDAQ:AMZN) have launched its very own corporate email service, directly competing with long time email service providers Google Inc (NASDAQ:GOOGL) and Microsoft Corporation (NASDAQ:MSFT). Offered through its AWS (Amazon Web Service) platform, the corporate email client from Amazon is called WorkMail, offering secured email management and calendaring services. With many providers already offering email management services, Amazon.com, Inc.(NASDAQ:AMZN) thinks it can still make a difference. In an interview with The Wall Street Journal, Amazon Web Services marketing vice president Adam Selipsky said that “Customers are not happy with their current email solution.” He added that “a lot of customers feel those solutions are expensive and complex.” Baird Equity Research analyst Colin Sebastian estimates that e-mail business can rake in as much as $1 billion in revenue for Amazon, basing the expectation from his estimates of Google’s sales figures on business software. 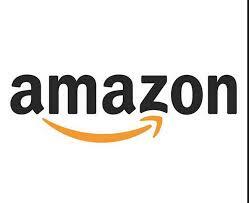 The offering will further strengthen Amazon.com, Inc.(NASDAQ:AMZN)’s position in the field of enterprise technology. The firm is noted for its leadership, growth and innovation in cloud computing, and its AWS currently powers popular consumer brands such as Airbnb, Netflix, Inc. (NASDAQ:NFLX), and Pinterest. The company is also involved with government entities including NASA and the CIA. Its data management services allows companies to focus efforts on other areas of their own technological infrastructure. “Customers have repeatedly asked us for a business email and calendaring service that is more cost-effective and simpler to manage than their on-premises solution, more secure than the cloud-based offerings available today,” AWS Compute Services vice president Peter De Santis said in a press release. On the other hand, Microsoft general manager of marketing Julie White said in a statement that Microsoft have already established itself in the business email industry, with an investment covering a period of about 20 years. Forrester Research analyst T. J. Keitt thinks that Amazon.com, Inc.(NASDAQ:AMZN) believes that there is still a market despite the presence of competitors. “They can make a play based on their data center capability and security, but whether that adds up to a highly utilized offering is to be determined,” Keitt said, as reported by The New York Times.